Craig's Photographic Journeys and Ramblings: Congratulations Jessica and Garrett! Its been a long day but a lot of fun. 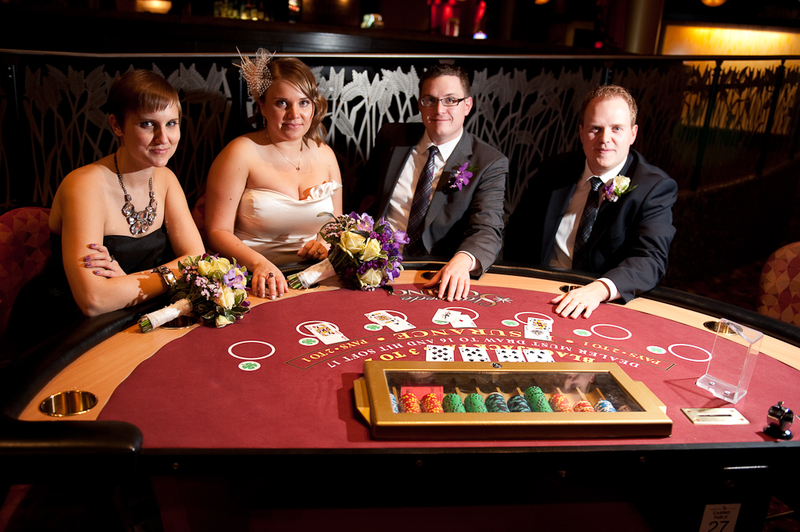 I had the privilege of shooting Jessica and Garrett Blakely's Casino themed wedding and they were a lot of fun to work with. I also have to give a shout out to my wife. She takes care of a lot of the little details and keeps me focused not to mention how much help she was with lighting and doing a lot of the little things that go a long way to making a shoot successful. Posted by Unknown at 12:29 a.m.